How do you spend your weekend? Is it hanging out with your best buddies or just staying at home totally rest your body? Well, I am kind of the type like that. Lol. I will sleep almost all day long to meet Monday again, but if my friends ask me to hang out with them, I would not mind especially when my friend who works in Jakarta surprisingly came to Bandung to meet me. 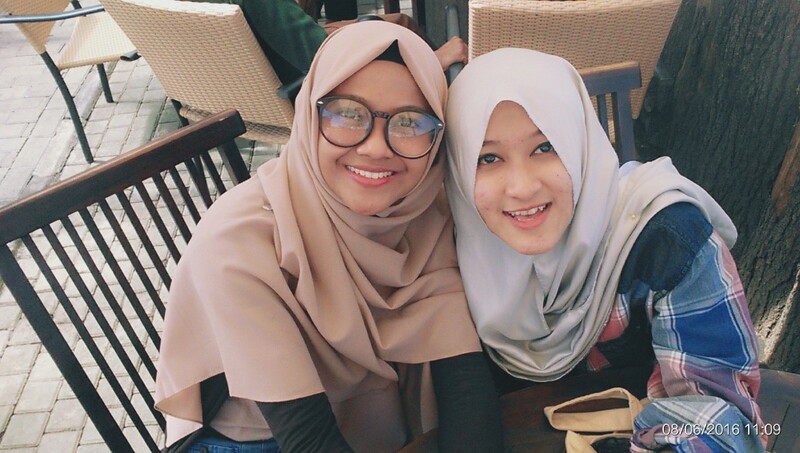 Yup, she is my friend since in Junior High School, we have the same dream back then. We wanted to be Hollywood stars. However, time flies and we have different dreams to catch as we are 23 years old. 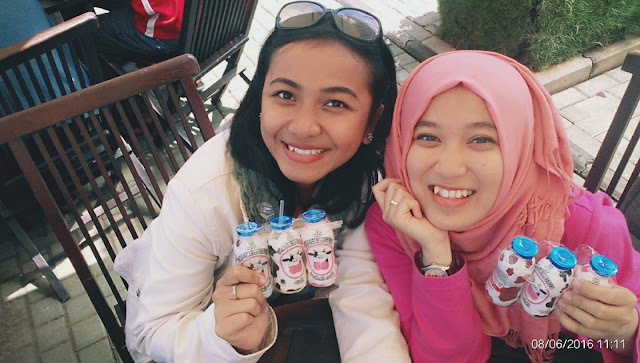 My friend who came to Bandung is Fenti. She really wanted to explore Bandung and asked me if I could show the places that are famous nowadays. 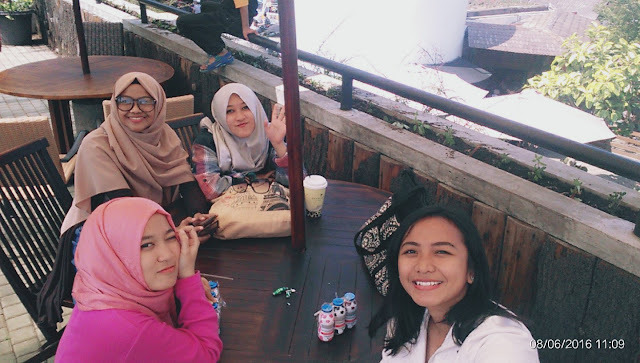 Therefore, we went to Farm House (lembang), had a lunch in Chingu Café (Sawunggaling), and watched Suicide Squad in Miko Mall (Kopo). We went to Farm House with Nova and Palupi (Upi). They are also my friends since junior high school but they still live in Bandung. 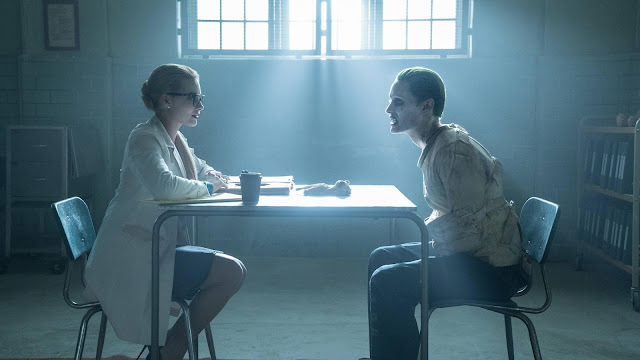 However, we rarely meet because of our busy schedules. We arrived in Farm House at 9 am because I knew that it is weekend and Farm House will be full of human. When we got there we took many photos and selfies. We talked about everything and we had a fun time. 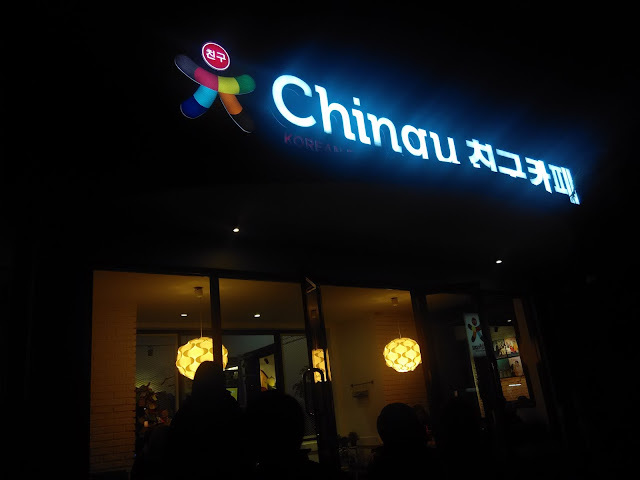 After that, we went to Chingu Café, it was our first time to be there except for Upi. Therefore, she recommended good drinks and foods for us. Yes it is a café which always full so we have to do waiting list first if we want to eat there. Moreover, the decoration is also unique and eye catching. If you are Korean fans, you must have been here, right? After having a lunch with Korean foods, we went to Miko to watch Suicide Squad. Why Miko? Well, it is because our house are near from Miko. Moreover, it has CVG cinemas and it is a good place though. Gladly, I watched a great movie with my great friends. I totally had so much fun. By the way I made a video when we were in Farm House. I hope you'll love it.